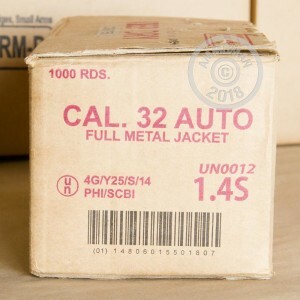 This 1,000 round case of .32 ACP ammo from Armscor is a great choice for the diehard pocket pistol shooter. These inexpensive but reliable cartridges fire a 71 grain full metal jacket bullet ideal for target practice. 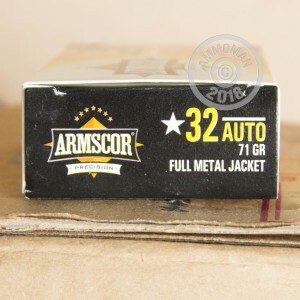 Armscor manufactures ammo in both the US and the Philippines (including defense contracts for the Philippine military) and has a reputation for delivering good quality products at reasonable prices. 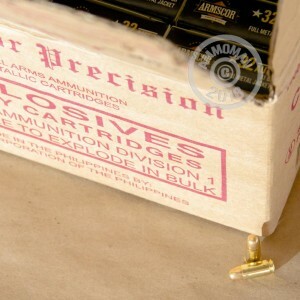 AmmoMan.com is the place to be when you need ammo by the case. These 1,000 round cases ship for free, along with all orders over $99--you pay only the list price.